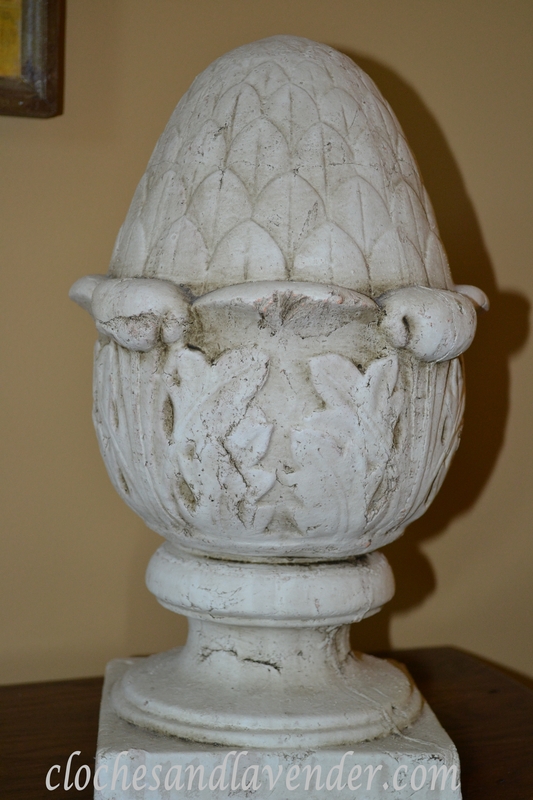 I found this artichoke finial at a salvage yard when we were in Newport, Rhode Island many years back, it was like finding treasure. I figured it would be nice to have in our family room. I just love the elegance, history and age it adds to our great room. Fabulous!!! I have a couple metal fleur-de-lys in my family room – little bits of history to liven up the place. I love having pieces of beauty with some history to them. I love old items like this…Thanks for sharing at the All Star Block Party. I love all your finials. I think I will start a smilar collection! This is lovely! What a wonderful find! It does add such a touch of elegance! What a fabulous piece!!! I can see why you were drawn to it for your family room…. Thought I would try again since you said I’m the only one having problems. 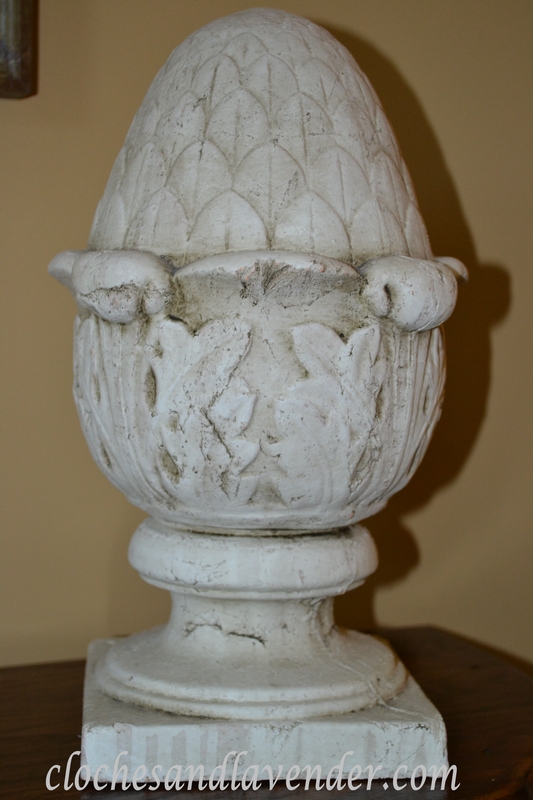 Love this finial! Thank you very much it was quite the find. Thank you for trying again! I love that finial it looks great. I have some rusty metal ones. It was a great find and it is old and has history to me. Thank you. I love artichoke and pineapple finials of all kinds…love yours!! I do too. I have so many in my home. Thank you. It was quite a find in Newport. Love your artichoke finial. It’s beautiful! Thank you I love it too. What a great find on our part. What a great finial, Cynthia! I love pieces like this and they are great to put in anywhere for some interest. It was a great a lucky find. Thank you very much.